Here, we present a protocol to construct a pleural effusion model in rats by intratracheal instillation of polyacrylate/nanosilica. Cao, W., Zhu, X., Tang, Z., Song, Y. A Pleural Effusion Model in Rats by Intratracheal Instillation of Polyacrylate/Nanosilica. J. Vis. Exp. (146), e58560, doi:10.3791/58560 (2019). Pleural effusion is a prevalent clinical finding of many pulmonary diseases. Having a useful animal pleural effusion model is very important to study these pulmonary diseases. Previous pleural effusion models paid more attention to biological factors rather than nanoparticles in the environment. Here, we introduce a model to make pleural effusion in rats by intratracheal instillation of polyacrylate/nanosilica, and a method of nanoparticle isolation in the pleural effusion. By intratracheal instillation of polyacrylate/nanosilica with concentrations of 3.125, 6.25 and 12.5 mg/kg∙mL, the pleural effusion in rats presented on day 3, peaked at days 7-10 in 6.25 and 12.5 mg/kg∙mL groups, then slowly decreased and disappeared on day 14. When the concentration of polyacrylate/nanosilica increased, the pleural effusion is produced more and faster. This pleural fluid was detected by ultrasound examination or CT chest scanning and confirmed by dissection of rats. Silica nanoparticles were observed in the rats' pleural effusion by transmission electron microscope. These results showed that the exposure to polyacrylate/nanosilica leads to the induction of pleural effusion, which was consistent with our previous report in humans. Additionally, this model is beneficial for the further study of nanotoxicology and the pleural effusion diseases. Pleural effusion is a very common clinical manifestation of pulmonary diseases with a variety of causes. Having a useful animal pleural effusion model is very important to study these pulmonary diseases, the roles of the two pleural membrane layers, the mechanisms of pleural effusion, and its treatment. However, some reported pleural effusion models mainly focus on the malignant pleural effusion or biological factors rather than the nanoparticles in the environment1,2. Here, we introduce a new model of pleural effusion that is simple, safe and effective. With the development of nanotechnology and the extensive use of nanoproducts, there is a concern about the potential hazards of nanomaterials to the environment and the human health3,4. Nanomaterials introduce risk factors and potentially lead to novel hazards within the workplace or through environmental contamination. 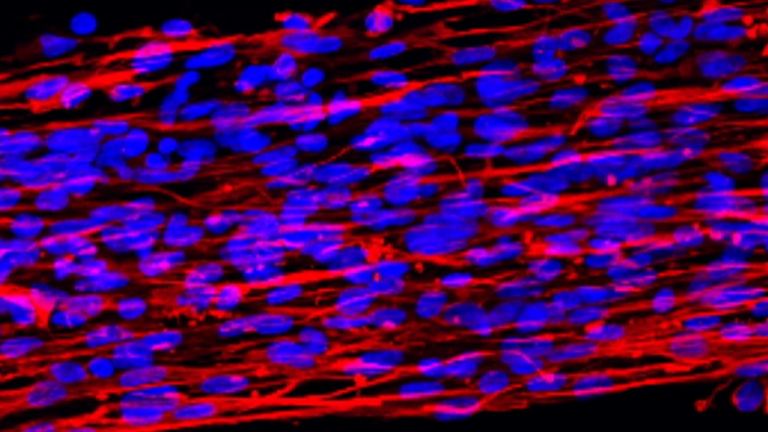 In vitro and in vivo studies show that nanomaterials can result in multi-organ damage to the lungs, the heart, the liver, the kidney, and the nervous system, as well as the reproductive and immune systems5,6. Additionally, some studies reported that the specific toxicity of nanomaterials was due to their unique physicochemical properties3,4,7. We have reported that a group of workers with occupational exposure to nanomaterials clinically presented with pleural and pericardial effusion, pulmonary fibrosis and granuloma8,9. Silica nanoparticles were isolated in these patients' pleural effusion9. In order to reproduce and verify the pleural effusion induced by the inhaled nanoparticles in human, we conducted the experiment by instilling the polyacrylate/nanosilica (PA/NPSi) via the respiratory tract in rats, which mimicked human respiration in a real environment, and found that intratracheal instillation of PA/NPSi could result in pleural effusion in rats. Here, we introduce how to make pleural effusion in rats by intratracheal instillation of PA/NPSi, and how to isolate nanoparticles in the pleural effusion. This model may be useful for the further study of nanotoxicology and pleural effusion diseases. The study followed guidelines of Capital Medical University (Beijing, P.R China) for the care and use of experimental animals. All procedures were approved by the Animal Ethical Committee of Capital Medical University in China. NOTE: Acclimate the female specific pathogen-free Wistar rats (weight: 200 ± 10 g) to the experimental environments for a week before administration (Environmental conditions: light/dark:12h/12h, temperature 22 ± 2 °C, humidity 50 ± 10 %). Use a fresh 10 mL of PA/NPSi suspensions (nanosilica Ø:20 ± 5 nm by in situ emulsion polymerization) diluted in normal saline at concentrations of 3.125, 6.25, and 12.5 mg/mL, respectively10. Before administration, sonicate the suspensions for 20-30 min and vortex for 10 min in order to prevent nanoparticles aggregation. Equally divide a total of 20 rats into four groups: one group for each concentration of PA/NPSi (0, 3.125, 6.25, and 12.5 mg/mL). To anesthetize them, place the rats in a closed container with 1.5 mL of ether (99.5%) or any other IACUC approved protocols. After 60-90 s of anesthesia, check for the lack of response to pedal reflex. Ensure that the rats are breathing. Put the anesthetized rat on the board and fix its front teeth with a sterilized line of nylon on the board too. Open its mouth and expose its fissure of glottis with the help of a surgical forceps and frontal lens. Instill the rats with 0.5 mL of PA/NPSi suspension to each rat's lung for a total of 1 mL using a fine tube with a sterilized blunt needle into the bilateral bronchus. Place the rats on a plastic board in a supine position and let the rats recover slowly in 5-10 min. Use an ultrasound system with a linear array transducer (frequency: 8 MHz) to examine rats on days 1, 3, 7 and 1410. Give anesthesia (10% chloral hydrate, 0.35 mL/100 g, i.p.) to the rats and check for the lack of pedal reflexes. Remove the hair from rats' chest and upper abdomen using an electric shaver. Then place the rat on a mounting plate in a supine position. Cover the skin with the coated gel, and then place the transducer on the intercostal space and subcostal area to detect the pleural fluid. NOTE: In order to detect the effusion accurately, the left and the right lateral positions were selected to perform an ultrasound examination. Put the rat on a plastic board in a supine position after ultrasound examination and let the rats recover slowly in 10 min. On days 7 and 14 post-administration, anesthetize the rats with 10% chloral hydrate (i.p). Consider it sufficient depth of anesthesia when the rat does not react to pedal reflexes. NOTE: Day 7 post-administration is the most appropriate time to observe pleural effusion by CT scanning. Place the rat on a plastic sheet in a prone position and then scan its chest to investigate pleural effusion using a 64-channel CT. Use the following settings: 64 mm x 0.625 mm detector configuration, 120 kV (peak), and 350 mAs. After chest CT scanning of rats and under anesthesia of chloral hydrate, check the pedal reflex of the rats, shave the hair from abdomen to chest, and then disinfect the skin by iodine. Bring the rats to the surgical area. Under anesthesia, quickly cut 1-1.5 cm of the skin and abdominal muscles to the xiphoid along the midline with the intact diaphragm. Carefully open the chest and inspect bilateral pleural cavities with the help of tweezers, especially the bilateral costal phrenic angles. Collect 1-2 mL of the light-yellow pleural effusion with a 2 mL sterile syringe. Once done, sacrifice the rats with IACUC approved protocol. Centrifuge the pleural effusion in a 2 mL tube for 15 min at 300 x g in order to isolate the nanoparticles. Use a drop of the upper layer which is the bright liquid and observe under a transmission electron microscope(TEM,) at an accelerating voltage of 60-80 kV. At days 7 and 14, there were no signs of the pleural effusion in 3.125 and 6.25 mg/kg∙mL groups10. However, in the 12.5 mg/kg∙mL group, the chest CT scanning was abnormal with the blunt posterior costophrenic angle, which hinted at a small amount of pleural effusion (Figure 2a,b). No signs of the fluid level were observed, which was explained due to an insufficient amount of water. Upon dissection of rats, we observed amber or colorless effusions in the 6.25 mg/kg∙mL and 12.5 mg/kg∙mL groups on days 3 and 7. The volumes of pleural effusion vary from 1-1.8 mL in each pleural cavity in the 6.25 mg/kg∙mL and 12.5 mg/kg∙mL groups. In the group of 3.125 mg/kg∙mL, no fluid in the pleural cavities appeared in the full experimental process. With the TEM, the NPSi nanoparticles presented individually and clusters formed in the drained pleural fluid. The average diameter (Ø: 20 ± 5 nm) and the morphology in the pleural fluid were consistent with the NPSi in the prepared suspension. The nanoparticles were mostly spherical and well dispersed, and the average size of an individual nanoparticle was ~20 ± 5 nm (Figure 3a, b). 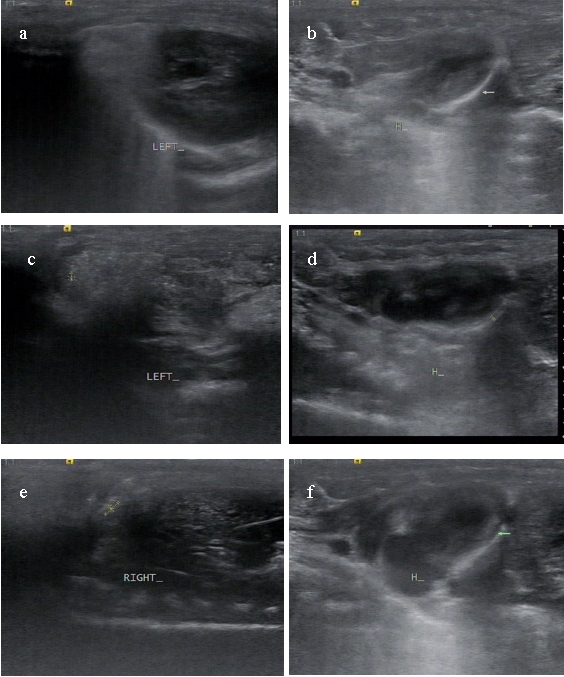 Figure 1: Representative images of pleural effusion by sonographic findings on day 7. (a, b) Sonographic images from a rat in the 3.125 mg/kg∙mL group with no fluid in pleural and pericardial cavities. (c, d) Sonographic images from a rat in the 6.25 mg/kg∙mL group with apparent pleural effusion and pericardial effusion. (e, f) Sonographic images from a rat in the 12.5 mg/kg∙mL group with much more fluid in pleural and pericardial cavities. Please click here to view a larger version of this figure. Figure 2. Representative images of thoracic CT images in rats. CT image from a rat in the 3.125 mg/kg∙mL group with no pleural effusion (a) and CT image from a rat in the 12.5 mg/kg∙mL group with a negative finding of free fluid but the blunt posterior costophrenic angle in the pleural cavity (b). Please click here to view a larger version of this figure. Figure 3. Silica nanoparticles in polyacrylate/nanosilica suspension and the pleural effusion of a rat. (a) Silica nanoparticles in polyacrylate/silica nanocomposite. (b) Silica nanoparticles in a rat's pleural effusion with clusters or individual form. Scale bar: 200 nm. Please click here to view a larger version of this figure. Sonography is the most convenient tool for determining pulmonary diseases, due to its excellent sensitivity to the free fluid in the pleural cavity11. That is because sonography can immediately detect the contrast in acoustic impedance of air and fluids in the lung12. Besides, sonography is more flexible in a small animal's model than CT. Nevertheless, the air in the lung reflected the sound wave and impeded from observing the intrapulmonary changes after nanoparticles instillation. Therefore, we combined chest CT scan and lung sonography to investigate the intrapulmonary changes and the pleural fluid. After exploring the imaging data, we found the imaging results remarkable. Firstly, our model demonstrated that the PA/NPSi, indeed induced the unusual toxicity, which was manifested as the pleural and the pericardial effusion at the early stage in the rat model. Secondly, this model successfully reproduced the occurrence and the development of human polyserous effusions; meanwhile, these processes were observed in our patients, who presented with pleural and pericardial effusion, pulmonary fibrosis and granuloma8,9. Thus, these facts implied that the serous membrane such as the pleural membrane or the pericardial membrane was one of the injury targets of PA/NPSi, which was similar in nature to the one caused by asbestos. Also, the timeline of polyserous effusions was meaningful as concluded by our findings. As for the design of our model, the intratracheal instillation was the critical step. This method ensured that the toxicity of nanoparticle entered the body through the tracheal, which was different from the previous study13. However, the cons of this method were as follows: the PA/NPSi was instilled into bilateral bronchus by the fine tube, which required highly experimental skills to prevent the mechanical damage to the trachea and the cough caused due to its irritation. Thus, the critical point was the proper depth of intratracheal instillation. Meanwhile, maintaining proper anesthesia was critical to completing the aforementioned step. The use of nanoparticles, the fine particles for the research purposes are picking up more and more attention. The smaller the diameter of the fine particles, the more challenging it is to protect them. On the other hand, the nano-silica with a diameter of 20 ± 5 nm indeed required a high-tech preparation method to prepare for this study, caused an increase in difficulty with the decrease in diameter. Thus, one of the pros of our technique was the diameter of nano-silica, which was smaller than the previous study13,14. Another advantage of this study was that we induced the nanoparticle via tracheal rather than skin or circulation13,15,16. For example, the intravenous exposure hampered us in investigating the target organ, which was difficult to distinguish the injury of the target organ triggered by the primary or secondary damage. Hence, in our opinion, the intratracheal instillation shall be the best way to investigate the nanoparticle toxicity of the lungs in the coming future. Besides, the dosage of nanoparticle was lower than the previous study13, which presented a higher cost-effectiveness ratio. As for the pleural and the pericardial effusion induced by PA/NPSi, the inflammation reaction and production of reactive oxygen system (ROS) would be the cause of that. We explained it as follows: firstly, the nanosilica increased ROS concentrations, induced inflammatory production, caused mitochondrial depolarization and reduced glutathione levels both in vivo and in vitro5,6. Secondly, inflammation and production of ROS increased the interstitial fluid in the lung or permeability of the pleural capillaries, which promoted the formation of pleural effusion at the end. Besides, the potential impairment of pleural lymphatic drainage might also be involved in the accumulation of the pleural fluid. With more accumulation of pleural fluid, the oncotic pressure had increased, which finally induced the deposition of PA/NPSi in pleural cavities. This result was consistent with our previous animal experiments and reported patients8,10. For the pleural effusion itself, it was prevalent in the clinic. Nevertheless, many respiratory or systemic diseases could cause pleural effusion. Therefore, constructing an animal model would benefit the etiological study of the pleural effusion. The previous study reported the lung toxicity of nanosilica13,17. However, the previous reported pleural effusion models mainly focused on the biological factors rather than nanoparticles18,19. Therefore, the dosage of nanoparticle remained an open issue. Our model demonstrated that pleural effusion occurred on day 3 after a PA/NPSi concentration of 6.25 mg/kg∙mL was administered by intratracheal instillation and peaked on days 7-10. Furthermore, with increasing concentrations of PA/NPSi, the pleural effusion produced more and faster. Moreover, compared with biological models18,19, our model of pleural effusion was well-controllable and effective. To sum up, our model would be beneficial for the future studies of pleural effusion diseases, as well as for the further study of nanotoxicity in particular. The present study and production to this article were funded by the National Natural Science Foundation of China (Grant 81773373, 81172614 and Grant 81441089). We thank Dr. Jin Yan and Dr. Pan Yujie, of Department of Emergency, Beijing Chaoyang Hospital, and Dr. Qu Peng of Department of Ultrasound Medicine, Beijing Chaoyang Hospital for helping with the video production. Stathopoulos, G. T., et al. Nuclear factor-kappaB affects tumor progression in a mouse model of malignant pleural effusion. American Journal of Respiratory Cell and Molecular Biology. 34, (2), 142-150 (2006). Shen, J., et al. The dosage-toxicity-efficacy relationship of kansui and licorice in malignant pleural effusion rats based on factor analysis. Journal of Ethnopharmacology. 186, 251-256 (2016). Nel, A., Xia, T., Mädler, L., Li, N. Toxic potential of materials at the nanolevel. Science. 311, (5761), 622-627 (2006). Maynard, A. D., et al. Safe handling of nanotechnology. Nature. 444, (7117), 267-269 (2006). Duan, J., et al. Toxic effects of silica nanoparticles on zebrafish embryos and larvae. PLoS One. 8, (9), 74606 (2013). Skuland, T., Ovrevik, J., Låg, M., Schwarze, P., Refsnes, M. Silica nanoparticles induce cytokine responses in lung epithelial cells through activation of a p38/TACE/TGF-α/EGFR-pathway and NF-κΒ signaling. Toxicology and Applied Pharmacology. 279, (1), 76-86 (2014). Oberdörster, G., Oberdörster, E., Oberdörster, J. Nanotoxicology: an emerging discipline evolving from studies of ultrafine particles. Environmental Health Perspectives. 113, (7), 823-839 (2005). Song, Y., Li, X., Du, X. Exposure to nanoparticles is related to pleural effusion, pulmonary fibrosis and granuloma. European Respiratory Journal. 34, (3), 559-567 (2009). Song, Y., et al. Nanomaterials in humans: identification, characteristics, and potential damage. Toxicologic Pathology. 39, (5), 841-849 (2011). Zhu, X., et al. Polyacrylate/nanosilica causes pleural and pericardial effusion, and pulmonary fibrosis and granuloma in rats similar to those observed in exposed workers. International Journal of Nanomedicine. 11, 1593-1605 (2016). Havelock, T., et al. Pleural procedures and thoracic ultrasound: British Thoracic Society Pleural Disease Guideline 2010. Thorax. 65, Suppl 2 61-76 (2010). Jha, A., Ullah, E., Gupta, P., Gupta, G., Saud, M. Sonography of multifocal hydatidosis involving lung and liver in a female child. Journal of Medical Ultrasound. 40, (4), 471-474 (2013). Hikaru, N., et al. Histological analysis of 70-nm silica particles-induced chronic toxicity in rats. European Journal of Pharmaceutics and Biopharmaceutics. 72, 626-629 (2009). Sun, L., et al. Cytotoxicity and mitochondrial damage caused by silica nanoparticles. Toxicology in Vitro. 25, 1619-1629 (2011). Hikaru, N., et al. Silica nanoparticles as hepatotoxicants. European Journal of Pharmaceutics and Biopharmaceutics. 72, 496-501 (2009). Liu, T. I., et al. Single and repeated dose toxicity of mesoporous hollow silica nanoparticles in intravenously exposed mice. Biomaterials. 32, 1657-1668 (2011). Ding, M., et al. Diseases caused by silica: Mechanisms of injury and disease development. International Immunopharmacology. 2, 173-182 (2002). Ji, J. H., et al. Twenty-eight-day inhalation toxicity study of silver nanoparticles in Sprague-Dawley rats. Inhalation Toxicology. 19, (10), 857-871 (2007).